During our four nights in Almaty, we chose to stay in two different hotels, so we could experience different parts of the city. 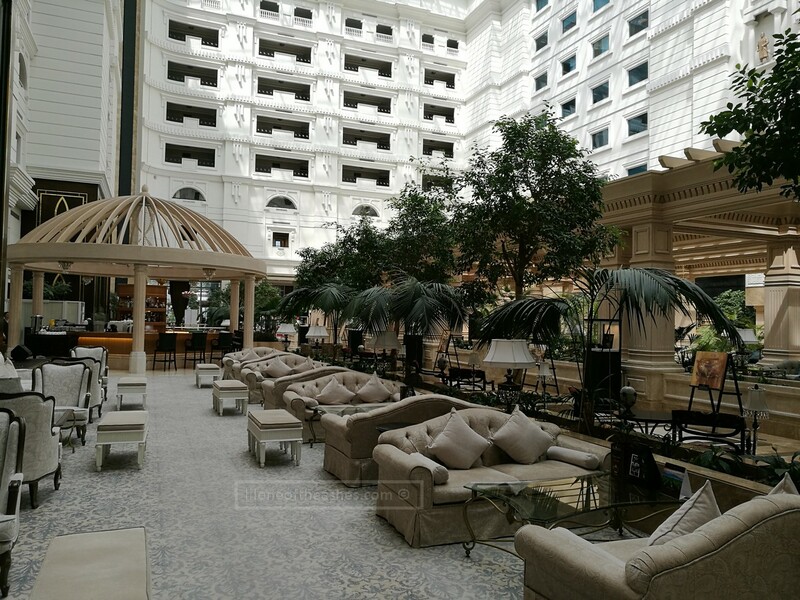 The Rixos was our choice for the first two nights, because it was a) highly-rated in booking.com and tripadvisor b) located in the middle of Almaty city. a) The view. The thing with Almaty is, it’s not hard to get a bad view. It’s green everywhere. We were supposed to be given the “Garden View” room, but due to high occupancy – given the City View instead. Did we notice? Not really! It was beautiful just the same! The snow-capped mountains beyond (yes, mid-summer! ), the blue skies, the trees scattered among the buildings. So if you’re not sure if you want to pay a bit more for Garden View – don’t worry about it. City View is gorgeous as well 🙂 Note, that we were on the 4th floor. View from our room upon check-in! b) Large sun-lit lobby area for a drink or two, if you wanted one. Nothing fancy, but it did have a large atrium/lobby area should you want to chill and snap away. 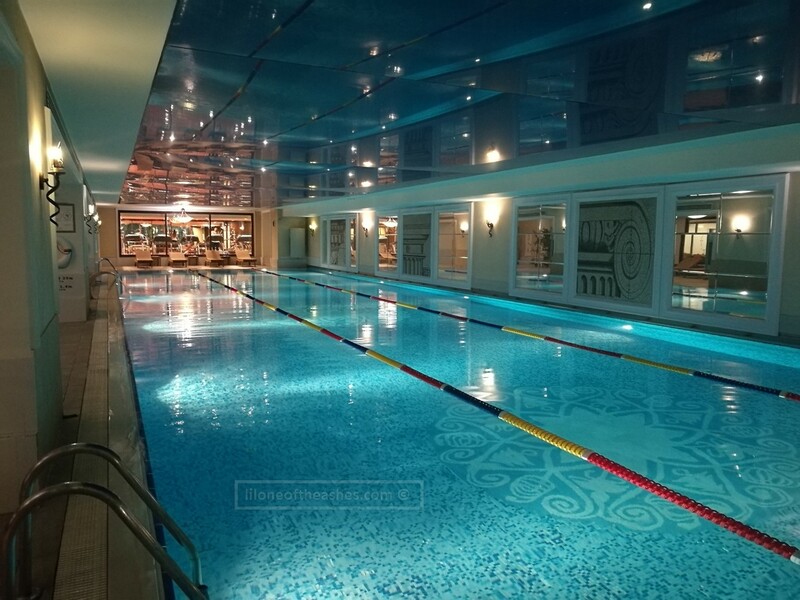 c) A 25m indoor pool, with a shallow baby pool area. They also have floats for babies/kids, and an area with toys for families as well by the pool! d) Large breakfast-spread, as to be expected from a 5-star Rixos property. They had a Kazakh corner with cooked horse meat (! ), a sweet dough treat called chak-chak which we both loved, zhent, cheese curt and various other things that I cannot remember the names of. It’s good if you wanted to just try a bit of everything. One live station for eggs and pancakes (with a really good-looking Kazakh guy making it as well, ha ha). And the usual array of cooked dishes. The asian dishes were nothing to rave about though – noodles, stir-fry chicken, some basic sushi. e) 2 minute walk to an awesome restaurant called Traktir Medved – If you turn on your GPS, it’s literally 100m from the main door. Pricing is cheaper than Dubai for sure – dinner for two, including a highly recommended fish soup, and a pork steak, with drinks came to about 90 AED. a) Rooms – We had the deluxe room with city view. Our room was clean, and they did have a cot to provide for the little one (thanks!). To be honest, to compare with Dubai, it would possibly pass as a 4-star hotel. It felt a little bit dated, you could see sealants and grout falling off in the bathrooms. Little things that we would suggest need touching up. 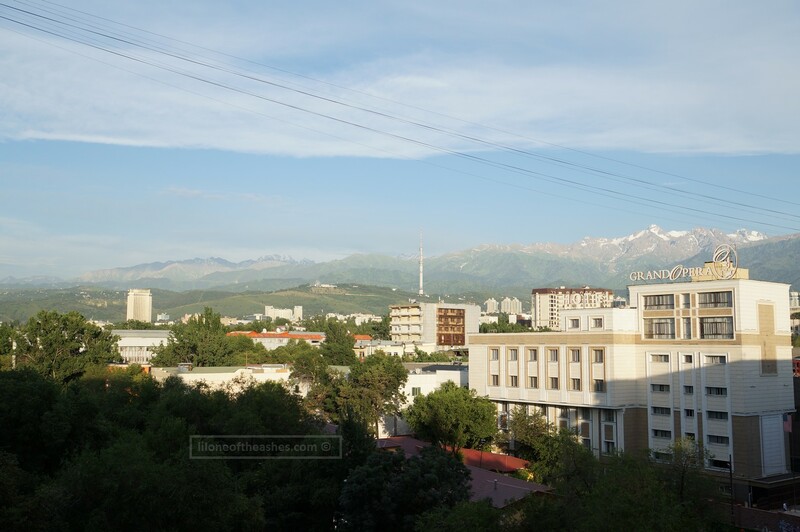 b) More suggestions on sights / car rental – I think it’s a Almaty thing, but we were quite surprised that there no brochures to suggest where to go and what to do whilst staying in Almaty. On the first night, we sat with the concierge or lady by the desk and asked for suggestions. We wanted to rent a car. I gave her my email and asked her to send me info when she found something but never heard back. So we didn’t bother to go back and ask for more recommendations, and walked to Center Smart Tourism instead. I would suggest to have a prepped list of tours that you could easily pass on to tourists should they ask for assistance. And a list of possible car rental, or to driver rental companies. Disclaimer : Whilst we did pay for our stay in Rixos Almaty, it is to be noted that we were offered a discounted rate. All thoughts are our own.